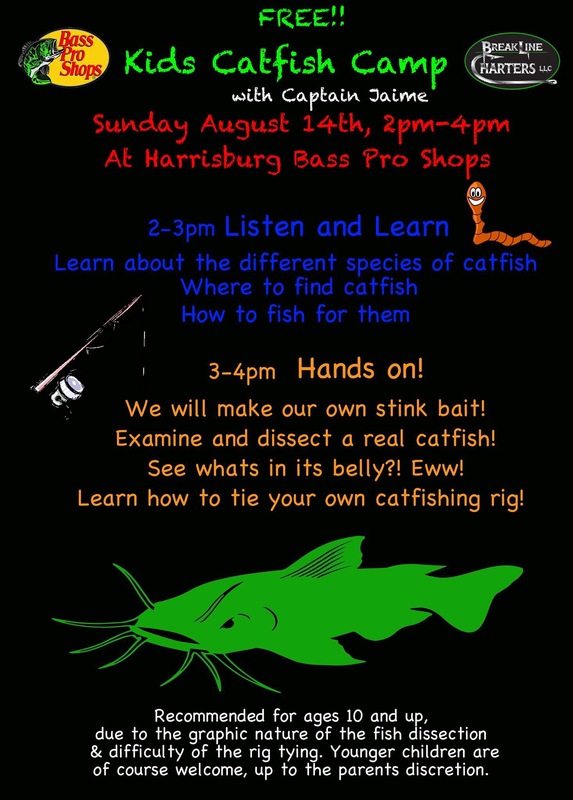 Would to to start by inviting all the kids out there to a special event this weekend at Bass Pro Shops Harrisburg. I’m doing a Kids Catfish Camp there. See the poster for details, it’s going to be a lot of great facts and hands on messy fun! It will be upstairs in the hunting lodge, have the kids wear a shirt that can get messy! RSVP via the event on BreakLine Charters on FB. 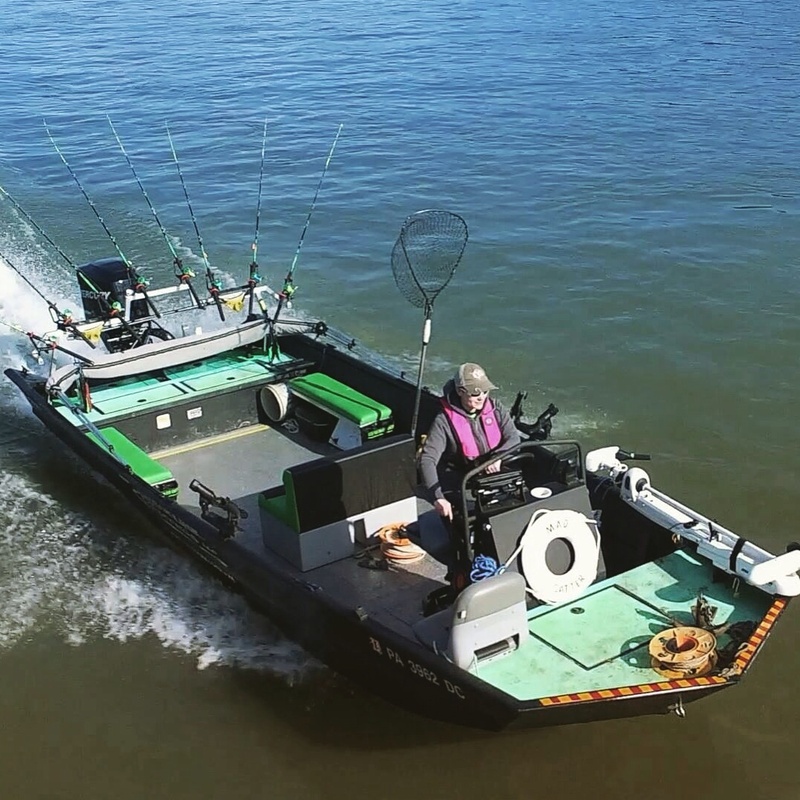 I’d like to share a story from a very special recent night on the water. 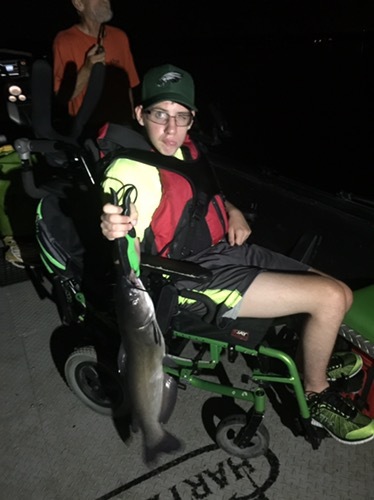 This boy’s father Bobby reached out to me earlier in the summer, not for a charter, but about handicapped fishing spots for cats from the bank. After learning a bit about the boy and their story I decided to offer them a trip. They accepted. 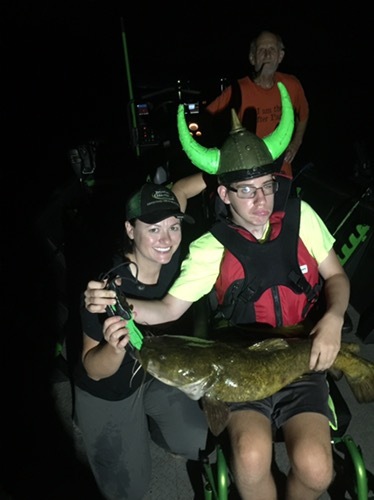 Folks from all over the country wished him luck on the trip via Facebook, that combined with a determined captain, great passengers, and cooperative fish, the night couldn’t have been better. Devlin is 16. The way he is today physically is not the way he’s always been. At 14 he went to school, average teenager. He suffered brain complications, not onset by an accident or anything, just happened. 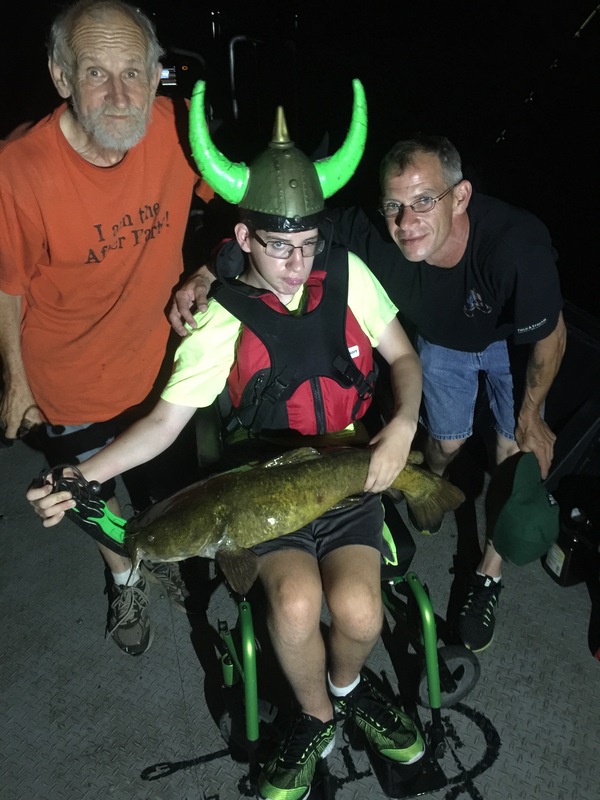 Fishing is always something he enjoyed, and thanks to his family and doctors and Devlins hard work at recovery over the last couple years, he has reached this point and is able to do what he loves still. Devlin is a strong, polite, and incredible human being. His family, equally so. I have met some amazing people through what I do, and its an honor to be able to give them smiles and memories to last a lifetime. 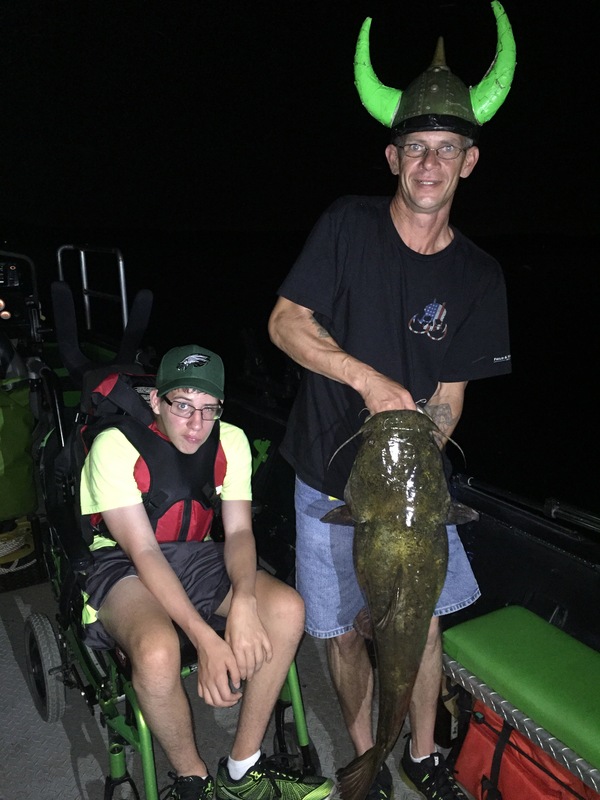 Here’s the link to watch Devlin, his dad Bobby and his pappy Bob’s catfishing adventure!